I’m usually not a big card game fanatic. 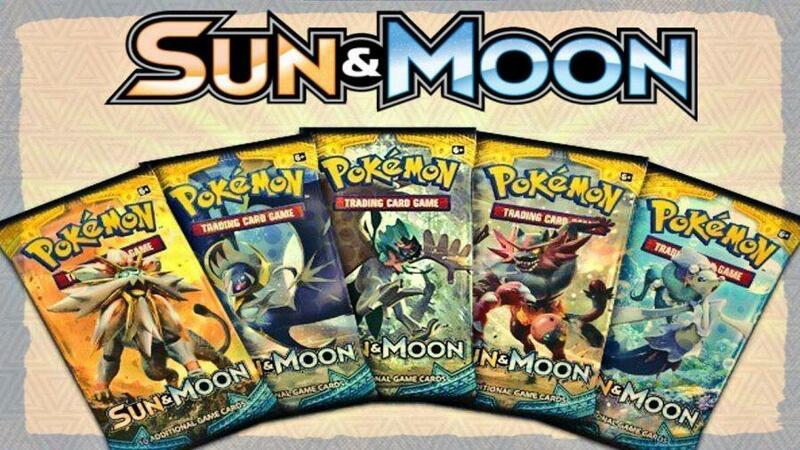 I believe the last packs I opened were around the third generation of Pokémon, but with the help of the recent games Sun and Moon, I wanted to get back into collecting the cards, and Sun and Moon is a great set to start again. I bought a booster pack box of the new Sun and Moon set that came with 36 booster packs, and inside these booster packs, they come with 10 cards with a bonus card which is an energy card, though some come holographic now. The one big attribute that Pokémon has from other card games that sets it apart is the artwork on the cards. There are different art styles of cards, such as regular cartoon art, fan art, and my favorite Claymation art, which I believe Pokémon has been doing for a while. When opening the packs, I went in blind. I didn’t look at the list of cards or what kind of rare cards I would be searching for, which makes it more fun at the end to see how rare my cards are. Pokémon cards are the simplest-looking cards, yet they are unique in a way that I already mentioned with the different art styles. I feel like Pokémon is the most memorable out of all card games. I got to admit opening the packs gave me a bit of a feel of nostalgia with the smell of new cards, reminding me of the times I would beg my parents for money so I could walk to the convenient store to buy booster packs. It was a great feeling flipping through the cards again and seeing all of the new and older generations of Pokémon, and usually a booster pack will come with a holographic card or the most common reversed holographic, which is a card that’s holographic around the card and not on the artwork. The box was full of GX cards. Two of them were Lapras with different artworks, which was weird but both look great, so I felt like I got my money’s worth with the number of good cards. The biggest card I got that was a secret and got excited about was a full body (the artwork covers the card) golden Rotom Dex, which was a huge pull for me, though the sad thing about Pokémon cards is that they aren’t really worth much as other card games. One huge problem with the whole booster box is that, people have found out that the boxes are mapped. When I talk about being mapped out, it means that these booster packs are all placed in a certain way where a person with that information can take all of the good packs. What does this mean exactly and how it can affect someone? Anyone who knows how it’s all mapped out can pull out all the good packs and leave people with the terrible packs, or card dealers can sell people the good ones and keep the rare packs. Pokémon hasn’t put out a statement on fixing this or even recognizing the problem, which is a big problem, and would tell anyone to be cautious when buying booster packs that come in boxes. Other than that, I feel like Pokémon is still a strong card game with amazing artwork and still can bring interests in fans that long forgot about collecting.